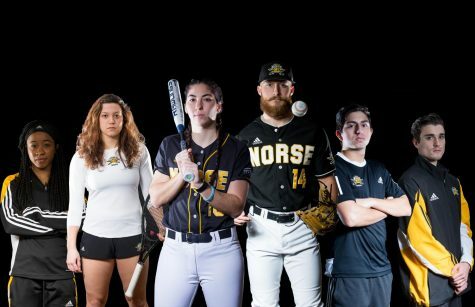 HIGHLAND HEIGHTS, KY- The Northern Kentucky Norse celebrated their seniors and swept their second double header of the year, as they beat the Oakland Golden Grizzlies 12-7 in game one and 10-5 in game two. The Grizzlies lead things off in game one with a three-run second inning. The Norse didn’t get on the board until fourth inning, when senior Brad Bohlen’s triple to right field allowed Dominic Mercurio to score. Their offense continued to heat up in the fifth, when Will Haueter hit his first career home run. Mercurio RBI doubled and allowed Trey Ganns to cross the plate as the tying run. 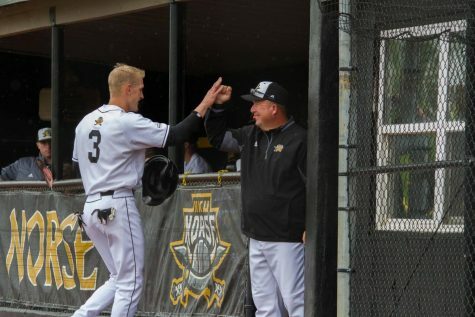 The Norse were able to take the lead in the sixth, when Ganns hit a three-run homerun, scoring Kyle Colletta and Jake Richmond. 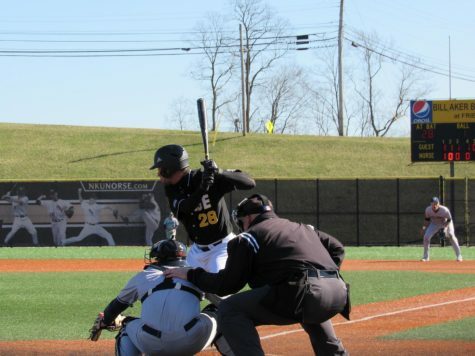 Northern Kentucky doubled their score to 12 in the seventh with runs from Mike Moffatt, Bohlen, Colletta, Richmond, TJ Alas and Ganns. 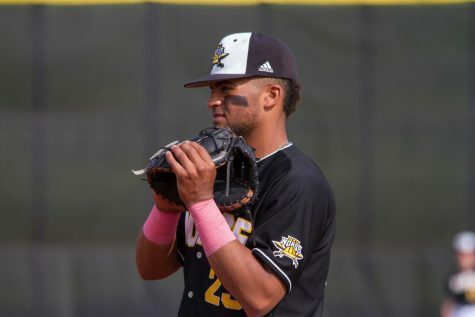 Head coach Todd Asalon was pleased with how his ball club played, considering they only scored one run in their last double header. 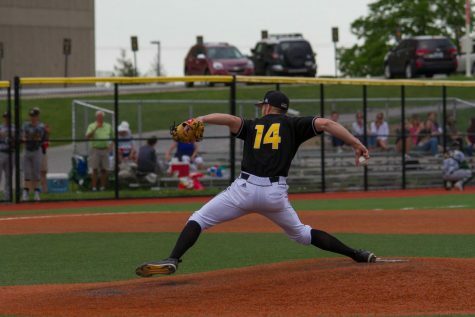 Colletta, who has been out on a hand injury since late April, started in his first game back, and went 4-7 on the day with two runs scored. Tyler Pagano scored off of a single to centerfield by Drew Demumbrum. Ganns scored the Norse’ first run off of Mercurio’s RBI to right field. Moffatt put the Norse in the lead when he scored off of Bohlen single through the right side. Northern Kentucky tacked on five more runs from Alas, Haueter, Ganns, Roberts and Mercurio in the bottom of the third to take a 7-1. 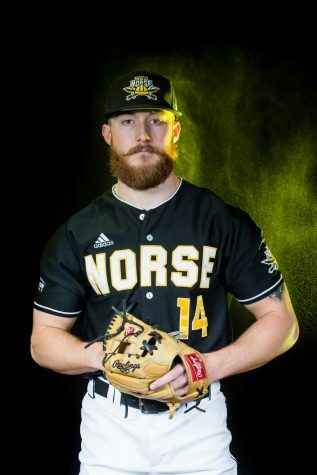 The fifth inning was full of more hits from the Norse, as Colletta’s single to left field allowed Bohlen and Moffatt to cushion their lead to 9-1. 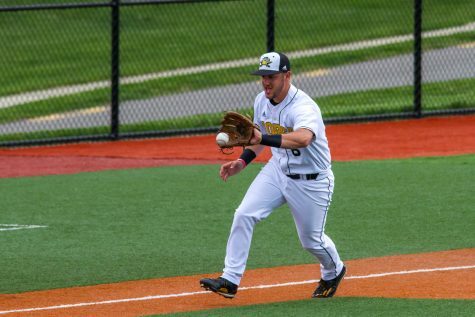 Oakland’s Matt Dileo hit a solo home run to left field, followed by a single from Emerson Misch which pushed Demumdrum across the plate, as the Grizzlies still trailed 9-3. A single run was scored by Grizzly Tyler Trovinger after Ben Harts single to center field. 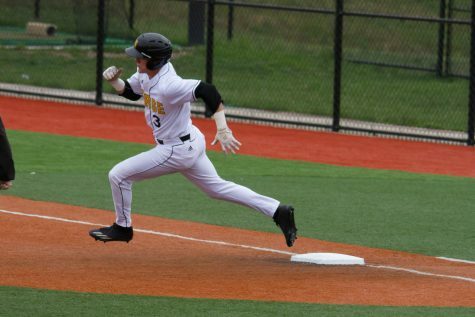 Alas scored the Norse’ final run of the day late in the eighth, with help from Roberts single to centerfield. 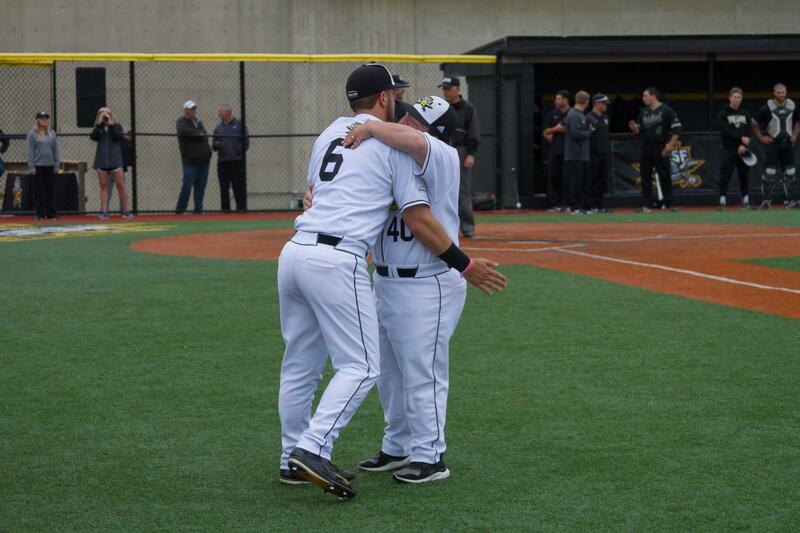 Senior Brad Bohlen talked about what he is going to miss most about being apart of the Norse Baseball program. 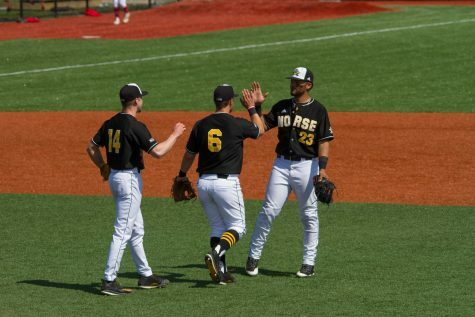 Five Norse players had four hits or more, and seven players hit .300 or more on the day.